Chelsea are reportedly involved in a sensational transfer swap deal that will see Gareth Bale move to Stamford Bridge and Eden Hazard to Real Madrid. The Blues have been offered a straight swap between the pair as the Spanish giants are desperate to land the Belgian winger this summer, according to the Sun. Gareth Bale has been taunted by sections of the Madrid faithful recently and could be ready to leave the Santiago Bernabeu. 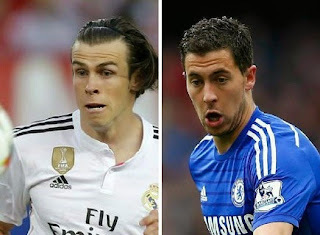 Hazard was named as PFA Player of the Year but speculation surrounding his future refuses to tail off and Carlo Ancelotti is ready to secure a stunning deal for him.